The Horror Zine: Why werewolves? 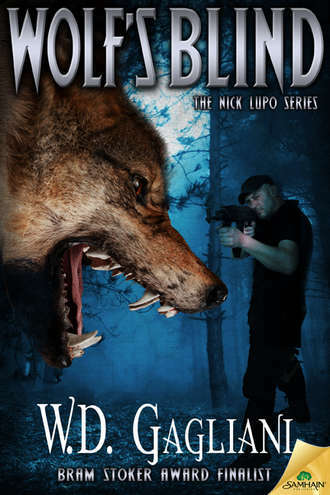 As the author of six novels and one novella about Milwaukee Homicide Detective Dominic “Nick” Lupo, who is also a werewolf, I am often asked what attracted me to werewolves. Why did I choose that particular monster to tell my stories? And why Horror, anyway? I’ve always been drawn to darkness: dark thoughts, dark plots, dark outcomes. Don’t ask me why, I don't really know. It’s just always been a tendency I have not only to wonder “what if?” but to look to the darker side for the answer. Inside a bank, I might count the visible cameras and think, “I wonder how a gang (maybe my gang) would rob this place?” I see a car pull up to a convenience store after midnight and immediately imagine the worst, a strong-arm robbery gone awry and becoming a hostage situation. 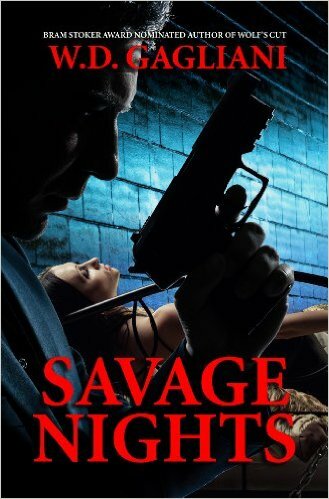 I hear about some terrible tragedy and my raised-on-thrillers brain goes into overdrive to concoct some sort of criminal or highly-placed conspiracy to explain what happened, because… well, because it’s more interesting to look upon the darker side of life. Maybe also because it will therefore tend to be more realistic. No perusal of the daily news can leave you with the strong sense that the world is going to hell and taking us all with it. We don’t have to make up much stuff, because whatever we can dream up the reality will always outdo us. My dark thoughts often revolve around random occurrences. Maybe it’s the plotting mechanism in my brain, looking to line up what it needs for that next story. One interesting approach is to connect a series of random occurrences until they become some sort of dangerously lunatic conspiracy… or a much more dangerous practice is to make a list of the things that scare you and plunder it when in search of a plot or its complications. At its best and most realistic, it’ll be dark fiction that resonates with readers because chances are their own lists of what’s scary will look similar to yours. What’s the attraction of the dark side? Why do some of us prefer to walk (or even bask) in shadows? My assumption is that it’s a hard-wired preference. Maybe it’s the reason David Lynch can’t make a light movie. Some of us are just wired to prefer exploring darkness. It manifests in cynical, sarcastic humor and appreciation for a certain nihilism. We know the universe is violent and unforgiving, and while I wouldn’t say we “celebrate” it, I would say we tend to reflect it or at least give a strong nod in its direction while still aiming for a positive and hopeful ending. But we know, deep down, that no ending is really positive and hopeful. Death finds us all, and the aftermath is a question mark at best and nothingness at worst. In my own mind, that nothingness is a thousand times worse than any “place” a religion tells me I may visit. As I age, I find that the question what scares you? Is taking on a new definition, and most often revolves around the coming darkness. All of this interest in the inner (and outer) darkness of human life leads me to the werewolf preference I’ve always had. And, at first, there doesn’t seem to be much of a connection. After all, werewolves are a monster, and the darkness of the soul I’ve described is essentially a personal one. But there is a connection, and that is where your inner darkness meets your possible lack of control (and this could be the control you lose when you are elderly and in a hospital or nursing home). Lack of control is the ultimate issue, whether it leads to mauling a lover or to watching your dignity stolen piece by piece. Yeah, that’s enough darkness for anyone. In discussing my own case, I have to state up front that for me, the movies came first and the books later – at least in this case. As a kid writer inspired by many influences, I could have gone in any direction. A 1958 SF movie I saw when I was about nine scared me to death in an existential way: Meteor Monster, aka Teenage Monster. A meteorite turned a kid into a monster (not a werewolf) very much against his will, and for some reason the tragedy of it really bit deep. The kid’s pain at being shunned by everyone worked on me. Mind you, I know it wasn’t a very good movie, but its theme was magnified by my youth and situation (I was still learning to adapt to living in the U.S. and learning English, so I was already somewhat of an outsider). My interest in SF was soon supplanted by horror, and as I watched the Universal monster movies on television in the late Sixties and early Seventies, I realized one thing: the other monsters scared me for what they could do to me – I was (perhaps trivially) frightened of Dracula, the Mummy, the Creature, as any kid would be – but the werewolf scared me for what I might do if I were the monster. And he was the only one with whom I found could empathize because the fear consumed me from the inside. Putting all this in context at my advanced age, I see that being consumed from the inside is metaphorical for certain types of illnesses whose names start with C and end with R.
Lon Chaney, Jr. also appeared in Abbott and Costello Meet Frankenstein, and when I saw it on late night television, probably on Chicago’s WGN Creature Features, I was fascinated. I guess by then I was hooked on the idea (and fear of) becoming a monster, losing control, hurting those I loved. Even though it was a comedy, the classic monsters were played straight, so like that older SF movie, its theme worked itself under my skin. 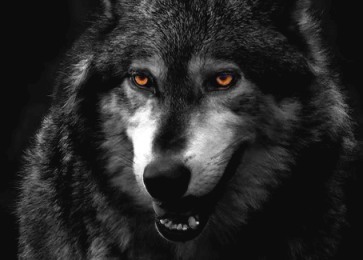 Another minor classic I caught up to at about that time – I Was a Teenage Werewolf – also affected me, laying further groundwork for the idea of would become for me a monster protagonist. Remember, I was just catching up to these in the late Sixties, often on black and white television late at night and Saturday afternoons, right during my most impressionable years. Not many years later, it would be An American Werewolf in London. The inherent tragedy in their story arcs of all these reached out to me. From there, I would land upon The Howling and Silver Bullet and other more recent movies (note: see my recent roundtable discussion with four other “werewolf” authors HERE for other movie and literary references [scroll down to October 28, 2015]). Since then and along the way, I also did a good bit of research into the Dark Ages and learned about the many innocent people who were put to death on suspicion of lycanthropy. Of course, most of those were related to mental illnesses, unknown severe maladies such as porphyria and rabies, and probably a percentage were even simple neighbor disputes. Like witchcraft, lycanthropy can be awful hard to disprove if enough “witnesses” swear they saw or heard you shape-shift. And those simple folks, they took their werewolves almost as seriously as their witches, maybe more so, due to the much more monstrous nature of the beast and the results of its attacks. After all, even witches didn't savagely dismember and devour parts of their victims, who might well be family, friends, and neighbors. Once again, the fear factor – the loss of control – hides behind the more obvious explanations. On the literary side, I cannot overlook the influence on me of Charles Grant’s The Dark Cry of the Moon, and Gary Brandner’s The Howling, on which the previously mentioned movie was based, and S.P. Somtow’s Moon Dance. Robert McCammon’s The Wolf’s Hour, a novel which also operates in the realm of historical fiction, was hugely influential by exploring a context I hadn’t seen before in the genre and which landed squarely in the middle of an area in which I was already well-read. The seed for setting a werewolf tale within World War II was planted, though I didn’t recognize it. Ultimately each journey is individual, and certain elements click together in striking ways, asking us to respond with our own visions of what dark themes motivate and frighten us. And when that happens, sometimes the logic is apparent only to us. For me, becoming a monster and losing control, hurting my loved ones, and eventually facing a long dark nothingness somehow meshed together as a metaphor for various aspects of life… and from there all I had to do was think about those same themes that kept me awake at night. All I can do is hope that my journey is compelling to others, and the current popularity of the werewolf/shapeshifter archetype seems to indicate there are others willing to share it with me. W.D. 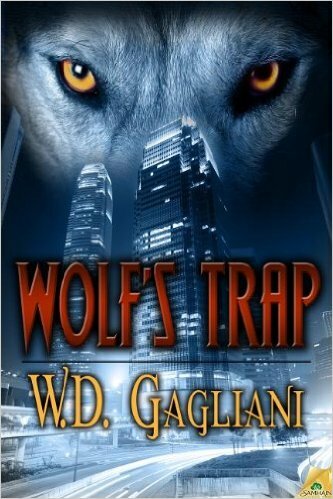 Gagliani is the author of the novels Wolf’s Trap, Wolf’s Gambit, Wolf’s Bluff, Wolf’s Edge, Wolf’s Cut, Wolf’s Blind (just published by Samhain Publishing), and Savage Nights, plus the novellas Wolf’s Deal and “The Great Belzoni and the Gait of Anubis” (to be reissued by Acheron Books in Italian and English in 2016). Wolf’s Trap was a finalist for the Bram Stoker Award in 2004. He has published fiction and nonfiction in numerous anthologies and publications such as Robert Bloch’s Psychos, Undead Tales, More Monsters From Memphis, The Midnighters Club, The Asylum 2, Wicked Karnival Halloween Horror, Small Bites, The Black Spiral, and others, and his fiction has garnered six Honorable Mentions in The Year’s Best Fantasy & Horror. 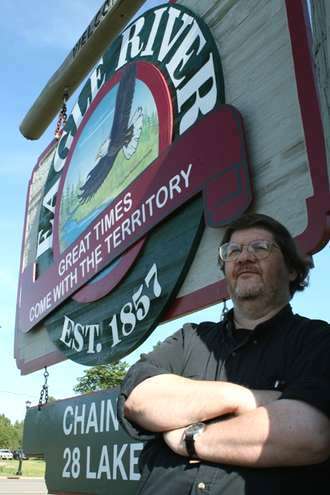 His book reviews and nonfiction articles have been included in, among others, The Milwaukee Journal Sentinel, Chizine, HorrorWorld, Chizine, Cemetery Dance, Hellnotes, Science Fiction Chronicle, The Scream Factory, The Writer magazine, Paperback Parade, and the books Thrillers: The 100 Must Reads, They Bite, and On Writing Horror. The team of W.D. Gagliani & David Benton has published fiction in venues such as The X-Files: Trust No One, SNAFU: An Anthology of Military Horror, SNAFU: Wolves at the Door, Dark Passions: Hot Blood 13, Zippered Flesh 2, Masters of Unreality (Germany), Malpractice: An Anthology of Bedside Terror, Splatterpunk Zine, and Dead Lines, along with the Kindle Worlds Vampire Diaries tie-in “Voracious in Vegas.”Some of their collaborations are available in the collection Mysteries & Mayhem.